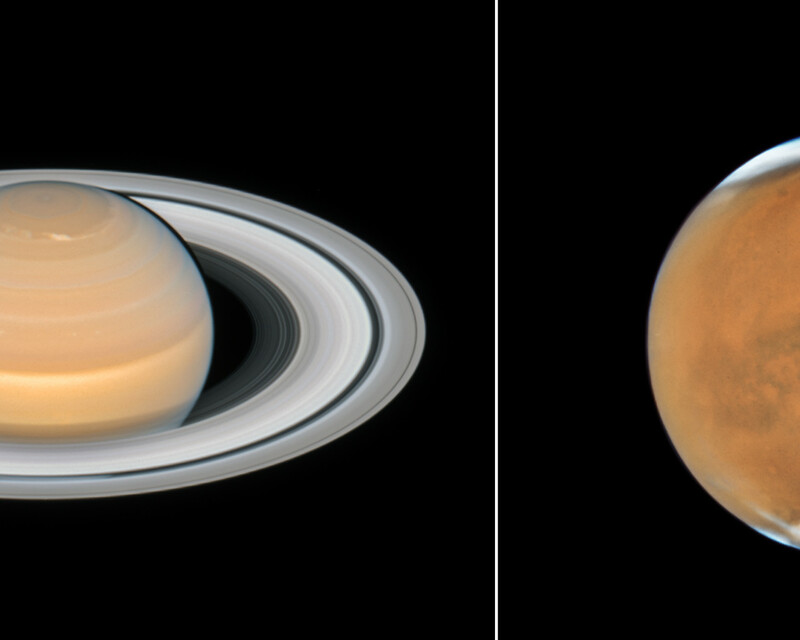 This image shows the recent observations of the planets Mars and Saturn made with the NASA/ESA Hubble Space Telescope. The observations of both objects were made in June and July 2018 and show the planets close to their opposition. 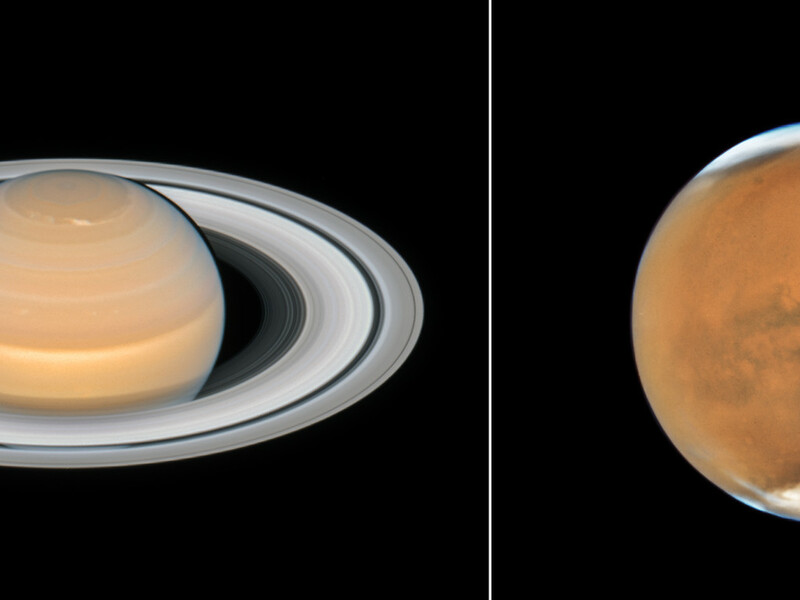 Hubble’s high-resolution images of the planets and moons in our Solar System can only be surpassed by pictures taken from spacecraft that actually visit them. Hubble even has one advantage over these probes: it can look at these objects periodically and observe them over much longer periods than any passing probe could. 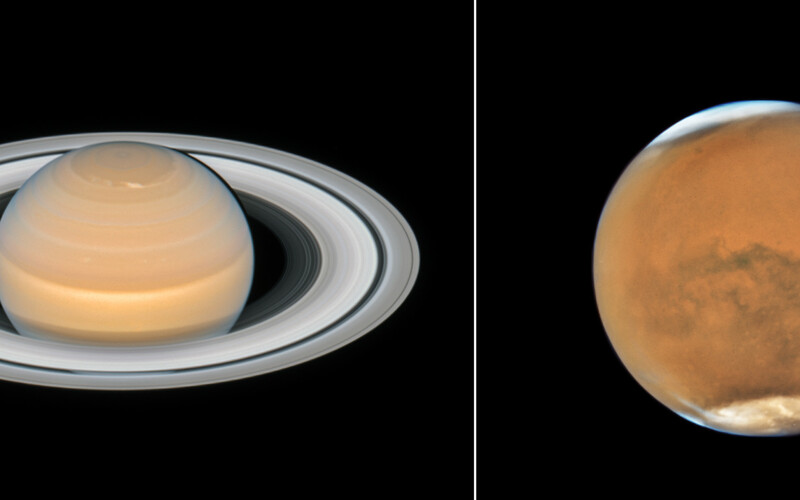 Hubble’s first observations of Mars date back as far 1991 and the first observation of Saturn was performed in 1990 — the year Hubble was launched.